Home Jurassic World: Alive Jurassic World Alive: 3 step Epic Strike Event: Counter-strike! Explorers! Welcome to this Strike Event Overview! 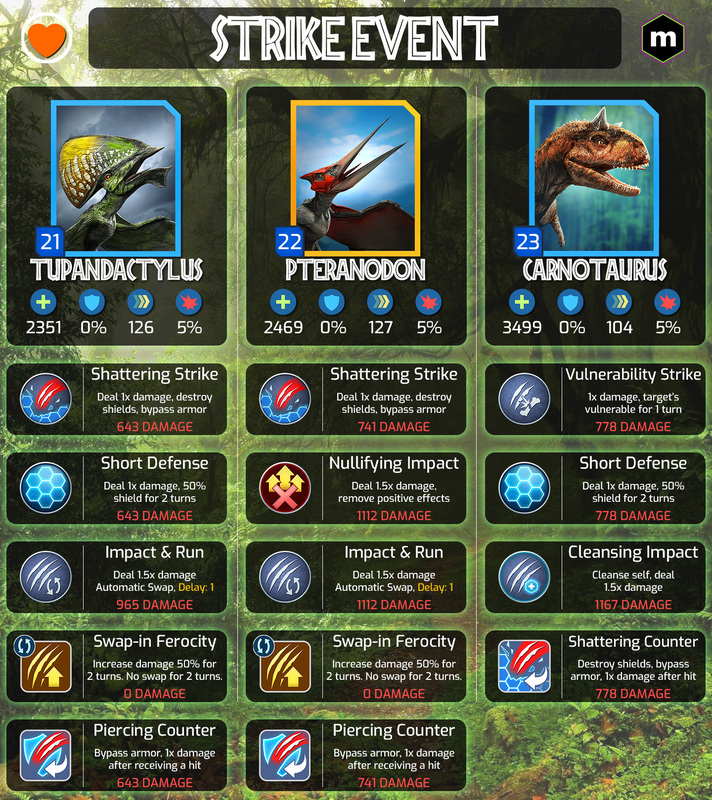 This time, we’ve got a 3 step Epic Strike, featuring Counterattacking dinosaurs! Let’s see how to counter these counters! We’ve got an amazing infographic for the last step thanks to our amazing artist Orange Heart!